Somerville, Mass – While we were in Italy, I decided that our international experiment in education would benefit from special world schooling research projects — something more formal than our field trips and fun explorations around Italy, but less formal than our set weekly curriculum. I wanted the twins to have something to show for what they have learned during their time there. Something besides knowing how to count to twenty in Italian. The plan was that the twins would each choose a research topic that was somehow related to our experiences in Italy. They would do research by reading books and surfing the internet, but also by doing firsthand “field work”. They would take pictures, write reports, and prepare a presentation for their classes back at home. Twin S immediately seized on the topic of Pompeii, which is perfect for this archaeologist-in-training. We had books. We had photos. 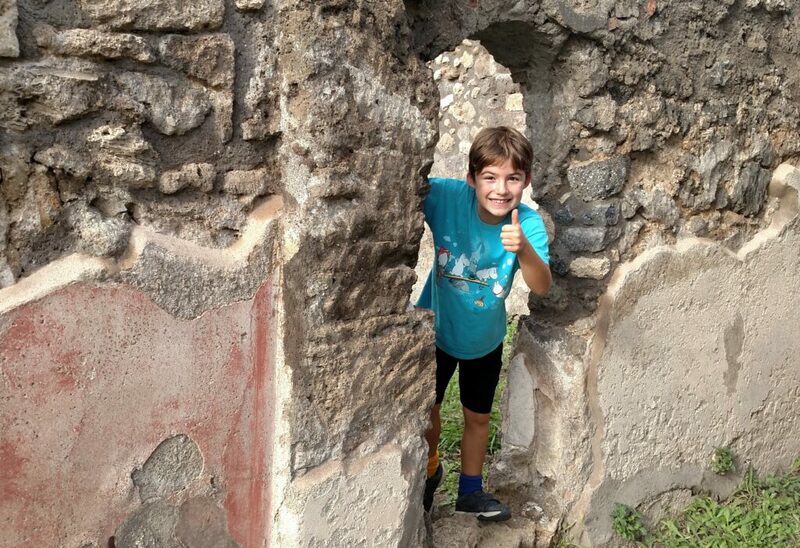 We had already been to the ruins of Pompeii and Mount Vesuvius. He was on his way. V had a much harder time finding a topic that held his interest. Daddio finally sold him on the Battle of Lepanto. This was the 1571 battle where Venice and the Holy League turned back the Turkish advance in Europe. This research proved to be more challenging, first and foremost because I knew nothing about this history. But never mind, Daddio assured me that he has some experience helping students craft research projects on historical topics (being a professor and all), so I let him have at it. There is a shortage of children’s books about Venetian history. 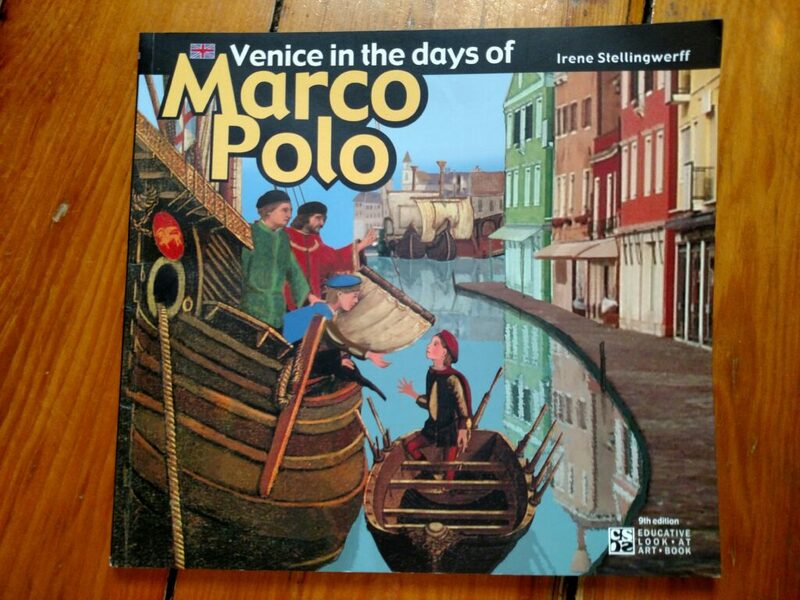 But we did have Venice in the Days of Marco Polo, by Irene Stellingwerff, which provided good background information about the heyday of the Venetian traders. And we were good for the field work. Daddio took V to the Galerie dell’Accademia to examine a Veronese painting depicting the battle. 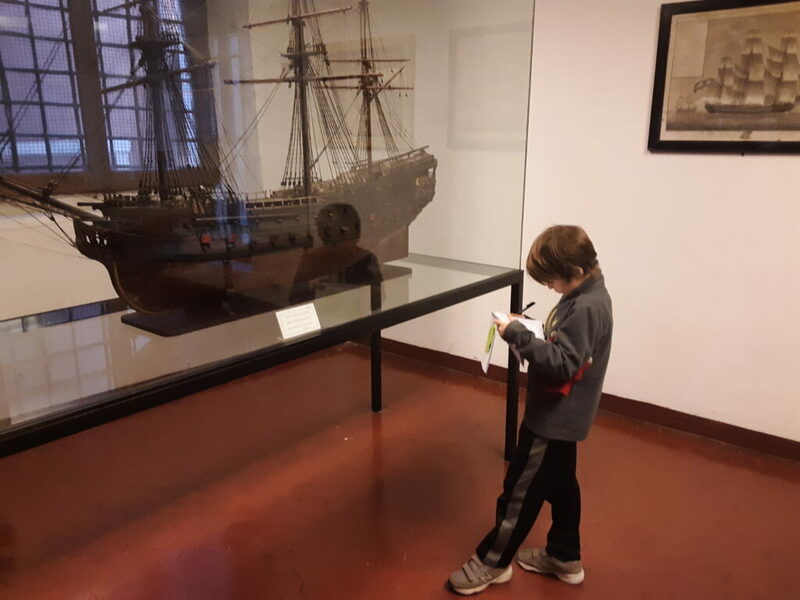 They went to the Naval History Museum to learn about the galleass ships, the Venetians’ new naval technology that helped them win the battle. So, with a fair amount of cajoling, the twins managed to produce research reports on their topics while we were in Venice. Back at home, I typed up their reports and we selected photographs to include. Daddio even made simple slide shows that they could show during their presentations. And this week they made presentations to their class on The Destruction of Pompeii and The Battle of Lepanto. Much to my disappointment, Daddio and I were not able to come into the classrooms to watch the presentations. But by all accounts, both boys enjoyed sharing their new expertise. And lucky for you, I can’t figure out how to post their written reports or their Powerpoint presentations here. So this caps off our little experiment in world schooling. Now signing off as schoolmarm. I am retired!